By now you’ve probably heard of intermittent fasting and wonder why your co-workers starve through breakfast and then delay their lunch. After all, isn’t breakfast the most important meal of the day? As it turns out, we may have been slightly led astray about the importance of eating breakfast to jump start your metabolism. While there are numerous studies revealing a glittering future for the 16:8 diet or the 5:2 diet, as of right now most have been done in animals. Not to fret though. The medical community continues to publish more data for fasting which seems promising in humans as well. However while we all anxiously await the latest release from the medical community, there’s good reason to jump on the bandwagon…at least through the holidays. Fans of intermittent fasting swear they feel better, have more energy, and lose weight. The basic structure is simple: push yourself for longer periods of time – even up to 24 hours – to allow for a little R&R from the everyday business of digestion. It’s theorized this period of rest helps heal your insides and improves your metabolism. Of course there’s the obvious calorie restriction component (as in any good diet) so it’s definitely worth looking into how intermittent fasting can bring more joy to your holiday season. As always, before making any drastic life changes, check with your doctor. 1). Holiday Weight Loss. This seems a little farfetched and probably too good to be true. However, intermittent fasting continually has those who swear by the lifestyle success, so it certainly won’t hurt to give it a try. Choose your 6-8 hour eating window and commit to water and black coffee for the rest of the time. You never know, you might come away from Christmas a whole clothing size smaller. 2). Alleviate the guilt of overeating. Most of us have endured the heavy-stomached guilt that comes after a day binging on holiday goodies. Going into the holiday with an eating schedule will keep you in control, both of your stomachaches and waist line. 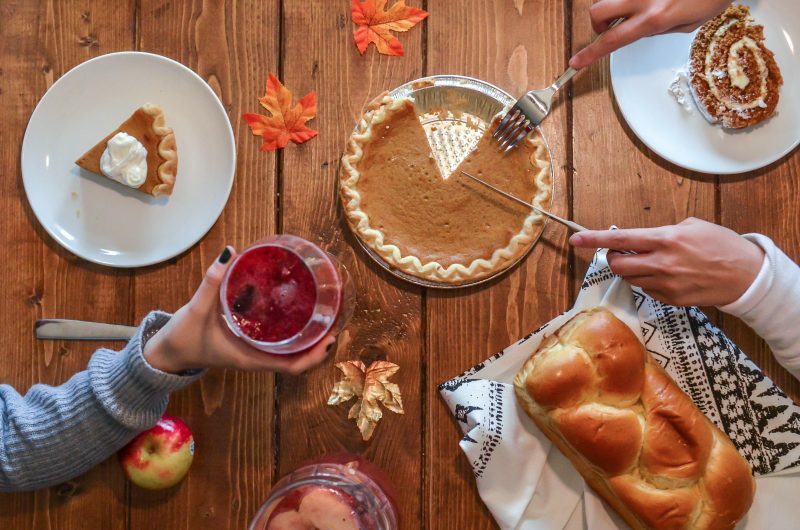 Your Thanksgiving meal will be a whole lot sweeter, if you keep the calories within your eating window. 3). Trendy Dinner Conversation. We all have one: that Aunt Marge or Uncle Stu who starts asking you all of those dreaded personal questions about politics or religion, just turn the conversation to your trendy holiday diet. I mean, who doesn’t like to be trendy? Everyone can relate to weight gain so keeping this topic tucked in your sleeve might make for easy conversation around the table. Intermittent fasting is taking over health trends and gaining popularity in the medical community. As new studies are released it will be exciting to see if the promised benefits are backed by science, or if it falls in line with other fad diets. Either way giving scheduled eating a shot might help you lose a few extra pounds this holiday season and enjoy your indulgences guilt free.